Your budget may be suffering a bit from your winter spending. You should consider taking a good, hard look at your budget to ensure it is still keeping you on track. Major holidays like Thanksgiving, Christmas, and New Year’s may have led to overspending on your monthly budget allowance. If so, spring may be a great time to brighten up your budget before the summer months come around, especially if you have a summer vacation or other summer event planned. It’s best to calculate how much you spent the previous month and what you may have overspent on. Once you figure that out, you should consider what you can save on, how much per month you are adding to your savings, and how much you plan to spend on your summer vacation. 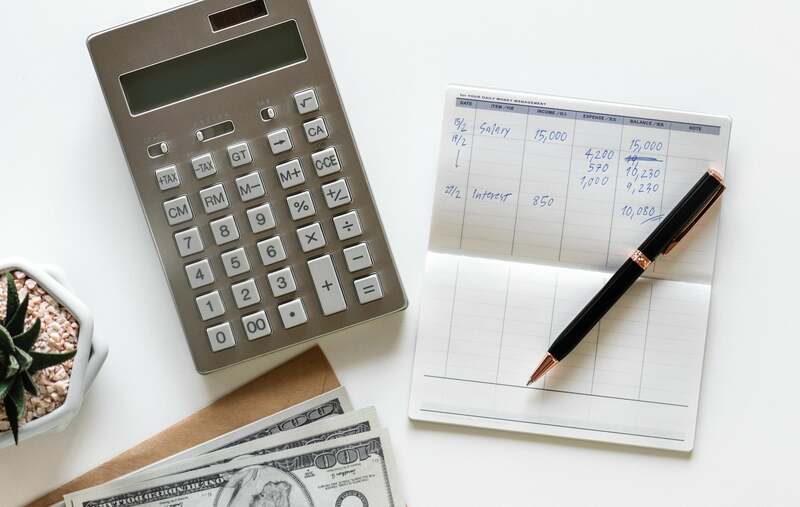 Additionally, you should also take life changes and other things that may have affected your budget into consideration when you reexamine your current budget. Your credit report is a good place to start financial spring cleaning. Check your credit report on a regular basis as bad credit can definitely sneak up on you. If you know you have bad credit, consider what options you have to either start building good credit or fixing your credit. Keep in mind that your credit options may depend on your current situation. Are you looking into buying a home soon? Are you changing jobs? If you need good credit in the near future, then hiring a professional credit repair service may be your best option. Although many people set financial resolutions at the beginning of the year, most people either stray from their goals or they need to set new financial goals after just a few months due to changing circumstances. Maybe you want to save a certain amount of money or maybe you want to get on track to pay off past debt. No matter what your financial goals are, it’s important that you revisit them on a regular basis and make sure that you are on a stable financial path. Your goals may change depending on your current circumstances and your future plans. Maintaining your financial goals list can help you obtain a bright financial future. Bad financial habits, even small ones, can really hold you back. For instance, you may have developed some bad financial habits, like failing to check your credit report or not paying bills on time, without much thought. Bad financial habits can be easily formed if you’re not careful. To get rid of your bad financial habits, first make a list of every bad habit you have. If you can’t identify your bad financial habits, then try talking to a friend or family member who knows you well. They may have some insight, especially if they know how you handle your finances. You could also try looking at your past expenses, your credit history/report, and your other financial accounts to see what habits are holding you back. Once you find out what bad habits you do have, set goals to eliminate these bad financial habits for good. Have you noticed overwhelming piles of old documents laying around your house that you no longer need? Having these old, useless documents in your possession can put your at risk of identity theft, not to mention clutter up your office or living space. Before you simply toss these documents with your other trash, you should shred them. Shredding these documents will help stop anyone from easily obtaining your important information (like social security numbers, date of birth, tax information, etc.). You should also shred any old mail that you have around the house for the very same reasons. Identity theft is a growing threat that torments people every day. If you are accessing your various financial accounts for your spring cleaning, consider changing your passwords. Using the same passwords for each account and having weak passwords can really put you and your finances at risk. To avoid cleaning up a big identity theft mess this spring, you should consider investing in identity theft protection services. These services will monitor your accounts around-the-clock and will send you alerts if there is any suspicious activity taking place. Another bonus is that some of these services also offer identity restoration and recovery plans. Overall, taking the proper security measures can help you avoid becoming a victim of identity theft. Clearly, financial spring cleaning can be worthwhile, especially when striving to keep your finances on track, getting your credit up to speed, and helping you prevent identity theft. It can also help you stay in tune with your financial habits and stay motivated. So, the next time you decide to clean your home, try taking some time to clean up your finances as well. This entry was posted in Credit 101 and tagged bad credit, budget, credit report, finance. Bookmark the permalink.